There are so many possibilities for fun and learning when you have access to a personal greenhouse. Although operating a greenhouse requires time and commitment the rewards are great. There are however, unforeseen items that can arise during the year that may need your attention. During the hot summer months overheating and burning can harm your greenhouse plants in an instant emphasizing the importance of proper ventilation and shading. Ensure that precautions are made to ventilate the greenhouse by opening windows and vents and using fans for cross ventilation. Installing shading may be a requirement during the hot months as well. Consider installing a misting kit in the greenhouse. These kits are inexpensive and can cool air temperatures by more than 20 degrees F. It is imperative that an exhaust fan system be used to provide your plants with air circulation so that plants are not susceptible to molds. Hosing down your greenhouse in hot months can also lower the inside air temperature. On the other hand, heating the greenhouse during the winter months will likely be required depending on your region and the levels of freezing temperatures. 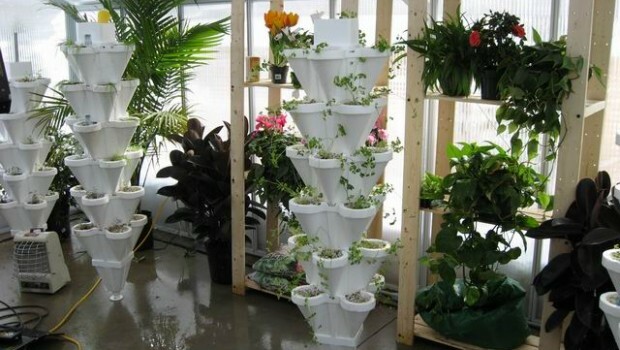 Most plants can sustain low temperatures of 45 degrees F. A heat sink can be built or heating can be supplied. Any source of heat will work, electric, gas or propane. It is best to have a heater that is thermostatically controlled so that you do not waste energy and dollars. Regardless of which season you operate in, controlling the temperature is vital and the most important issue to be addressed no matter what the season. Dampness and lack of air circulation during the hot months can produce condensation in the greenhouse causing mildew, mold and other fungi which can greatly affect your growing season and your plants. It is necessary to make any repairs that might be causing condensation including the insulation in the greenhouse. Keep in mind that condensation is also a natural condition caused when temperatures fluctuate between the outside air and inside air of the greenhouse. When choosing the style of greenhouse for your back yard, the need for storage space is not considered a factor in the decision which can cause future problems. 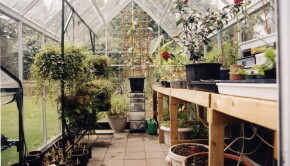 A cluttered greenhouse creates a mess which ultimately affects the plants. 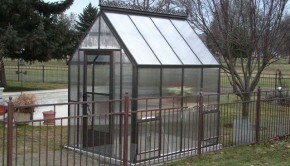 Outgrowing the size of your greenhouse is a common problem with upgrades necessary most of the time. Organization of the equipment, soil beds, benches etc. is critical in order to keep the space efficient. Storage under benches is a good strategy. Shelving can also be used to house additional plants. A greenhouse should be completely cleaned and disinfected at least twice a year; in the spring before sowing seeds and in the fall before the outdoor garden plants are brought inside for the winter. A clean environment will keep away pests and diseases and offer fresh growing conditions for your plants. It is wise to hose down both the interior and exterior of the greenhouse. Check your equipment regularly to ensure that the heating, ventilation and irrigation systems are working. There is nothing worse that equipment failure when you are at the height of the growing season. Check the glazing for cracks and leaks and the frame for strength and a sturdy foundation. Check your heating equipment and exhaust fan equipment to make sure they are operational. Caulking can be used should you find any air drafts. Sooner or later, pests will show up in the greenhouse. Constantly be on the watch for pests that invade the greenhouse and take care of the problem immediately. You may need to discard any infested plants to avoid a spreading problem. Greenhouse sticky tape can be hung to catch white flies. Insecticides can also be used on plants and in the greenhouse. 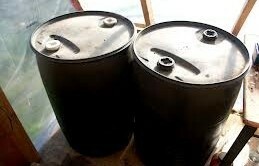 There are also several recipes on the internet for natural insecticides that you can make at home. Greenhouse growing is a very rewarding experience!